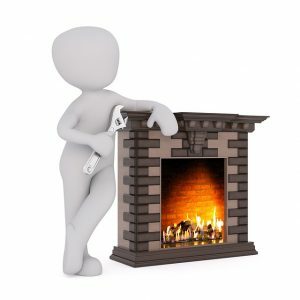 Elements of a Fireplace Inspection — and Why It’s Important! Simply put, if you have a fireplace and a chimney, you will find yourself in need of a Fireplace Inspection. When? Well, to steal a line from Casablanca: “Maybe not today. Maybe not tomorrow, but soon and for the rest of your life,” — or at least as long as you own and use the fireplace. 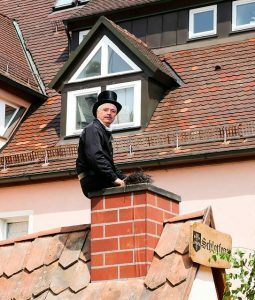 Today, we here at 1st Choice Chimney wanted to help you understand what is involved in a fireplace inspection so that you know what to expect when you hire our Dallas and Fort Worth chimney sweeps. On a side note, always make sure that you hire a chimney sweep who is certified by the CSIA and insured. The Chimney Safety Institute of America (CSIA) is the top industry standard for chimney sweeps and we pride ourselves on carrying the highest CSIA certification and classification. You can look up each of the 1st Choice Chimney technicians on the CSIA Website to see their certification. The CSIA and 1st Choice Chimney utilize three different levels of Fireplace Inspection. To access some areas, we may need to utilize common tools like a pair of pliers or a screwdriver, but in this level of inspection there is no damage to any building structure or surface finish. Roof access is necessary for this level of inspection. Creosote is a residue created when smoke, gases, water vapor, tar fog, unburned wood particles, and other by-products of combustion condense on the inside of a chimney. It is highly combustible, so in sufficient quantities and at high enough temperatures it can cause chimney fires. That’s why regular level one fireplace inspections are so important. Understanding what to expect from your fireplace inspection can help you feel at ease with what is going to happen. If you’re in the Dallas or Fort Worth areas, Contact Us Today to learn more about our chimney sweep services.